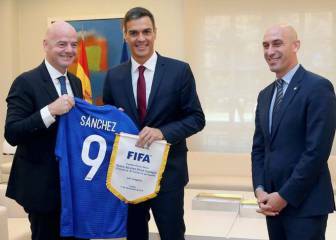 RFEF president Luis Rubiales met yesterday with Fifa president, Gianni Infantino, at Moncloa, the home and workplace of Pedro Sanchez, president of Spain. The result of this get together of the three men, the significance of which we'll have to wait and see, was the possibility of Spain hosting the European Championships in 2028 or, even better, the 2030 World Cup. For Pedro Sánchez, on the back of Carmen Montón's 'Masters' political scandal, their arrival was a gift. Football is football, and a photo op with the head of its governing body, accompanied by the thought of having a showpiece tournament on our shores, brings a flash of optimism. At the moment it may only be a tempting discussion, but Spain has the capacity and the history that allows us to dream of it happening. 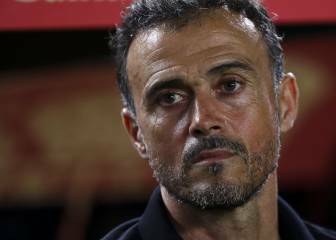 Spain has previously hosted the finals of the Euros and also a World Cup. The European Championships date back to 1964, a time when it was quite different: a final four, nothing like it is now, when 24 teams participate. We won it, by the way, with a Marcelino goal against the USSR. The World Cup here was in 1982, fondly remembered for our mascot Naranjito. It was a well received tournament but from a sporting perspective it was a failure, leaving a bad taste in the mouth for a generation. It certainly excites me more, of course, the possibility of organising a World Cup, which we'd likely need to join up with Portugal and Morocco. Something that could be a positive and necessary embrace between Southern Europe and North Africa. 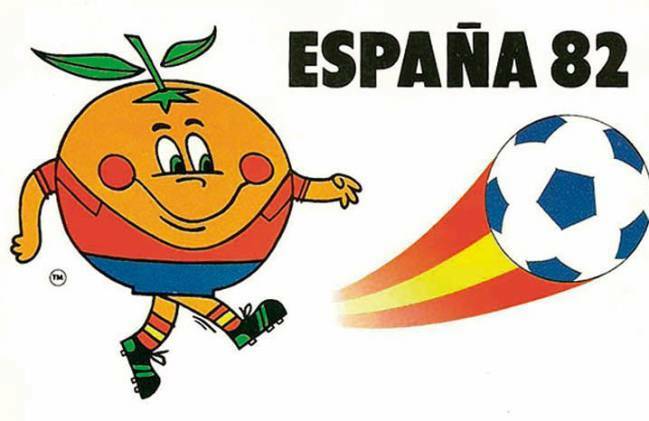 Naranjito | The mascot for World Cup 1982 in Spain. There are rival bids, of course. In 2030 we will be celebrating the centenary of the World Cup. The first was played in Uruguay, and the idea of repeating it there after 100 years has been swirling around for some time, with Argentina and Paraguay. But the idea of Spain-Morocco-Portugal has a nice ring to it, for the purity it shows of a coexistence between such different worlds that lie in close proximity. As a little test, the final of the Spanish Super Cup in Tangier worked well. Great Britain is another interested party. It's not going to be easy either way, but now that we're embroiled in the Miami game, which I don't think even Rubiales himself knows what will happen, it's nice to lift our gaze.